Are you an executive manager? Just like the relationship between yours brokers and their customers, yours is to be proactive at all times. Contrary to popular belief your job is not to be an office administrator but rather a business leader. Through our unique business coaching program you can become a powerful recruiter, maintain a high retention rate and learn how to intervene at the right time in order to redirect your ailing brokers. Learn how to establish high standards for your business and become an outstanding mentor for your brokers. And of course, increase your profitability! 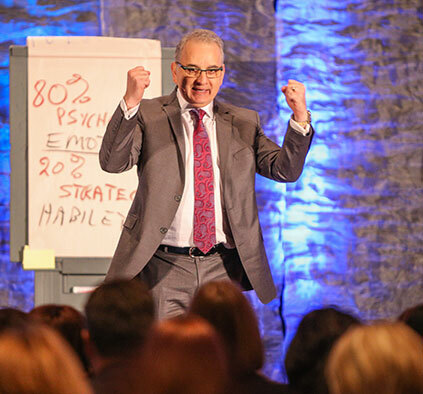 We invite you to have a conversation with Samir Bachir and discover how OSE Coaching can assist you in bringing your business to a higher level. 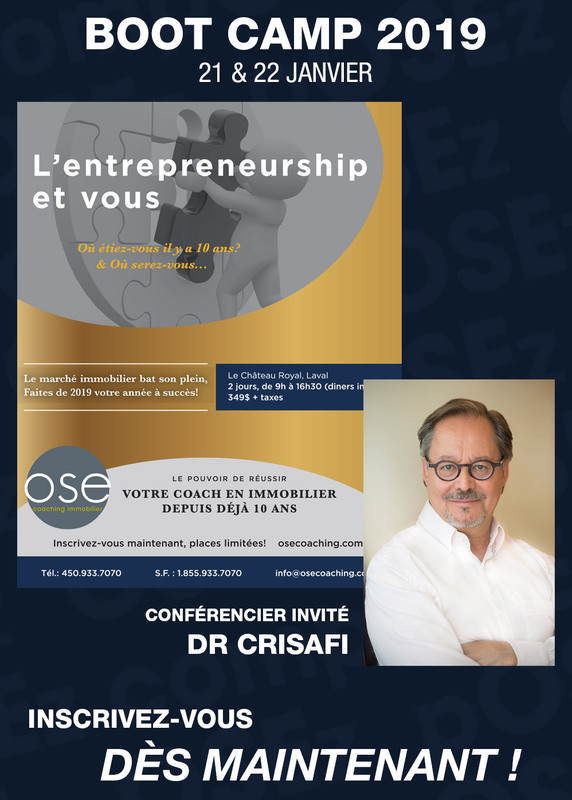 OSE Real Estate Coaching offer conferences, seminars and training programs in both French and English language. Our programs empower Real Estate agents and brokers to succeed at very high levels and are based on a proactive and dynamic approach, thus enabling the participants to fully understand and integrate the concept: “being in business”. Through a powerful business plan and a well-defined business approach to selling Real Estate, Real Estate practitioners learn to excel at what they do best; selling Real Estate. It is with pleasure that we submit our candidacy as conference speaker for your future events. OSE Real Estate coaching is looking forward in being an integral part of your next event, be it a conference or a comprehensive training program. We offer our services in both French and English. OSE Real Estate Coaching is the only North American firm offering high quality top level programs in French for Real Estate professionals. Please contact us to make your next event a success. Proud of its partnerships with industry leaders, OSE Coaching offers programs on demands and personalized conferences, helping you reach your goals. We are able to tailor our programs to suit your individual needs. I want to order my psychometric test! 2019 © OSE Coaching Immobilier Inc. All rights reserved.